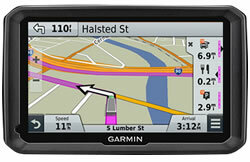 The very latest Garmin NOH (Newly Overhauled) deals are below on this webpage. 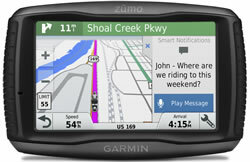 NOH models are Genuine satnav stock which Garmin have repackaged from customers (or stockists) returned goods which Garmin cannot sell as brand new (and are sold at a lower than retail price). Nevertheless they are new and feature the same 1 year warranty that is provided with non-NOH stock. 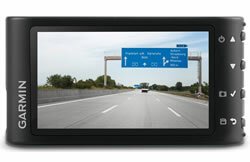 The cheap satnavs at this webpage are deals that we can offer you to buy today. 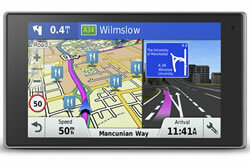 Offers vary day-to-day and as cheap satnav deals are made available to us we will add them to this satnav sale page. 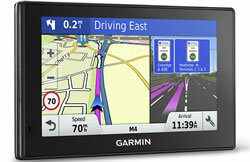 Save your save ££s with these Garmin NOH (Newly Overhauled) car sat navs. View all of the automotive car sat navs available from ActiveGPS. 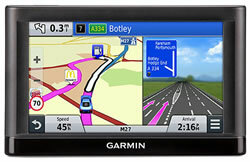 Save your save ££s with this Garmin NOH (Newly Overhauled) truck sat nav. View all of the truck sat navs available from ActiveGPS. 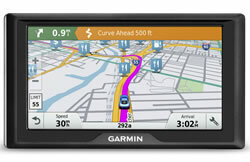 Save your save ££s with this Garmin NOH (Newly Overhauled) motorcycle sat navs. View all of the motorcycle sat navs available from ActiveGPS. Save your save ££s with this Garmin NOH (Newly Overhauled) dash cams View all of the dash cams available from ActiveGPS.